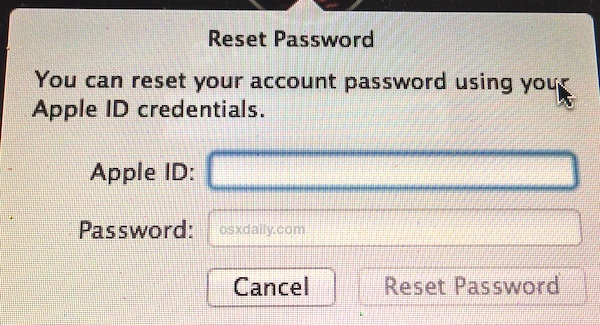 Going further, Macs with multiple user accounts can assign different Apple ID's to each unique user account, or you can just choose to tie a single Apple ID to the Mac. 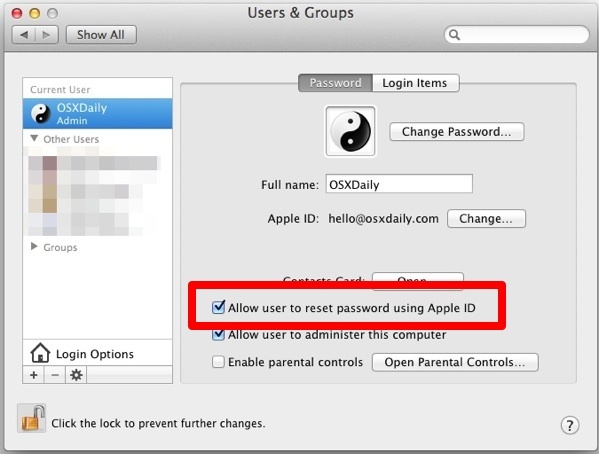 If you do choose to attach a lone Apple ID to the Mac this way, be sure to associate it with an administrator (admin) account in OS X, that way you will be able to regain full system access in the event it's needed because the primary password has been lost. * If you somehow don't have an Apple ID yet, you can set one up easily by clicking the "Create Apple ID" button. Apple ID's are now tied to just about everything, from iCloud backups and access, to App Store downloads and purchases, to iTunes and the iBookstore, so if you somehow haven't created one yet, do that now.